Seasons change. The Earth tumbles ahead through fall, winter, spring, then summer. And, as the seasons change, so does the fruit and veggies that pop up magically from farm fields. Some get sold at the farm, some make their way to restaurants, and some are brought to many of the farmers’ markets that dot Connecticut now more than ever. And, at one of the markets, there’s a palpable energy, a strong core of farmers, restaurateurs, chefs, business owners, and fresh–conscious consumers. 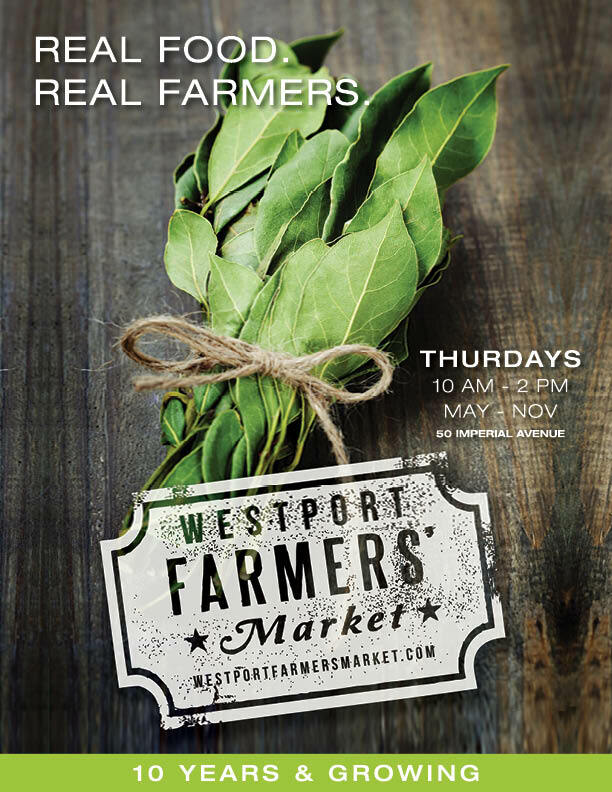 We are speaking of Westport Farmers’ Market, of course, founded by Paul Newman and Chef Michel Nischan. Oh, that just sounds dirty. Well, kinda dirty…if you consider digging into the ground and popping up carrots. Yes, caucus carota, the carrot, is a thing of beauty to many and the root (hahah punny) of scorn for others. But, we’re sharing this post with the carrot lovers of the world, so carotaphobiacs may run away in fear. The awesome chefs Matt Storch from Match and Chelsea and Geoff Lazlo from LeFarm will be your judges! They will announce the winners at noon! Then, make your mark on the world by having the recipe shared on the Westport Farmers’ Market site!